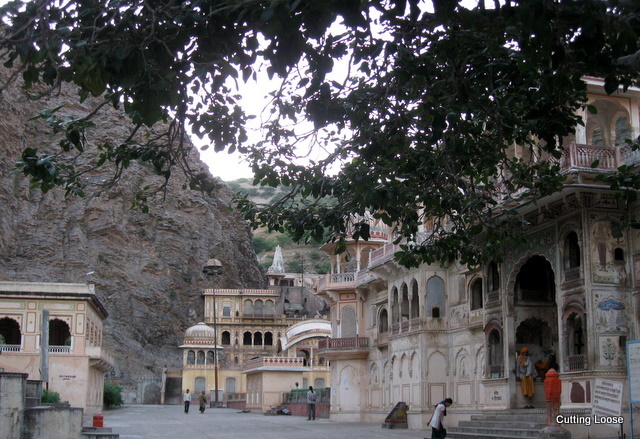 The Galta Temple could well be Jaipur’s very own lost city. 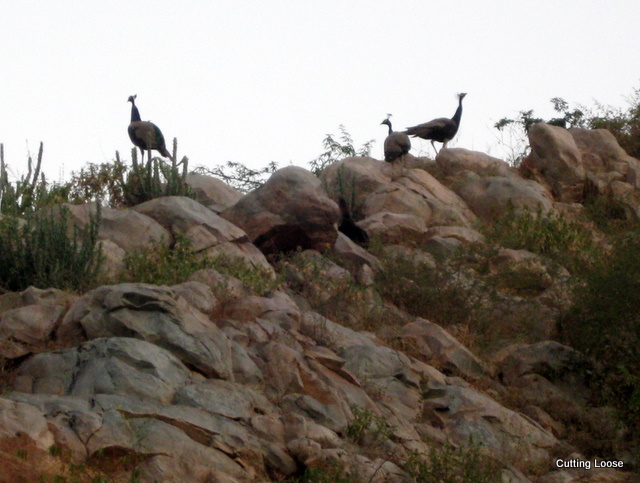 A delightful almost-secret, well-kept from mass tourism (thus far), it is located about 10 kilomentres outside of Jaipur on the road to Agra, just beyond the Sisodia Rani ka Bagh. Story goes that one Rishi Galav (after whom it is so named) prayed here for over 60,000 years before the Trimurti appeared before him. And as the story has usually gone, he was granted his wish: water in this semi-arid region. 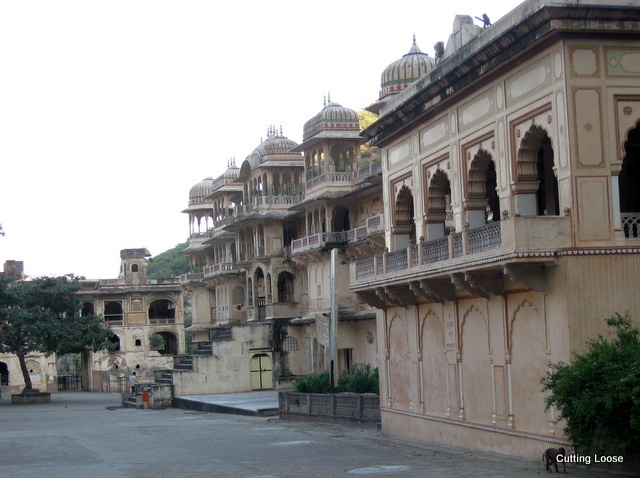 The beautiful complex comprises ancient shrines, pavilions decorated with frescoes, holy kunds and a centre that imparts Sanskrit to young scholars. 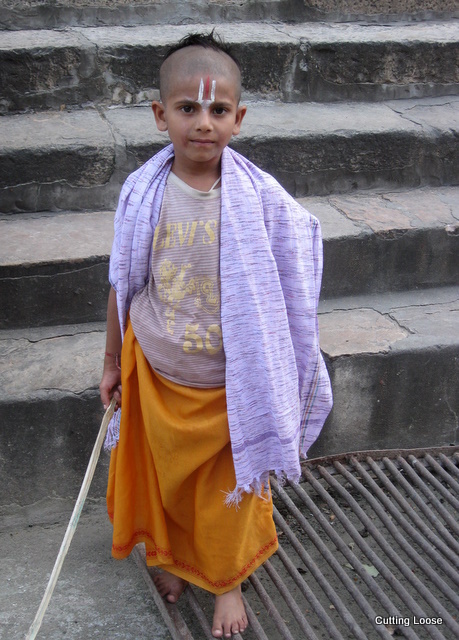 This little priest in the making was happy to interrupt his unbridled chase of a fellow scholar to pose sagely for us. The main temple is perched between two cliffs in a rocky valley with steps leading up to the shrines of Rishi Galav and Lord Hanuman. Beyond that, a steep path takes you to a Sun Temple atop the highest peak here, before descending once again towards the Pink City. The lack of crass commercial activity, as has become the norm at most places of worship, was a very refreshing change. During our visit, the temple complex was a picture of peace and solitude, set away from the sights and sounds of urban chaos. I’m told it comes alive once a year during the Kartik Purnima, when hordes of devotees arrive for the customary holy dip. Known popularly as the Monkey Temple, scenes such as these are a-plenty, especially around sunset when a couple of thousand primates converge here to be fed peanuts and bananas by visitors, even as a whisperer controls the mischievous albeit gentle troops to enable a smooth round of the complex. There have been instances of the mischief turning into uncontrollable mayhem by these resident simians; some of them even featured in Nat Geo’s award-winning series, Monkey Thieves, as the Galta Gang! 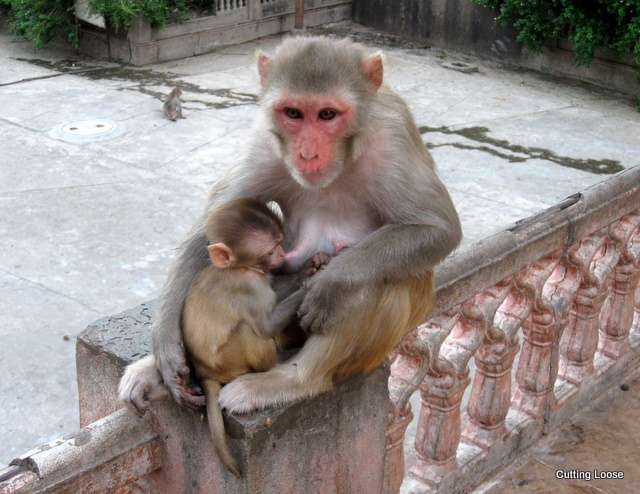 That having been said, I would readily exchange the oppressive persistence of guides, touts, sellers and such-like at popular attractions with the (usually) harmless antics of a few hundred rhesus macaques. 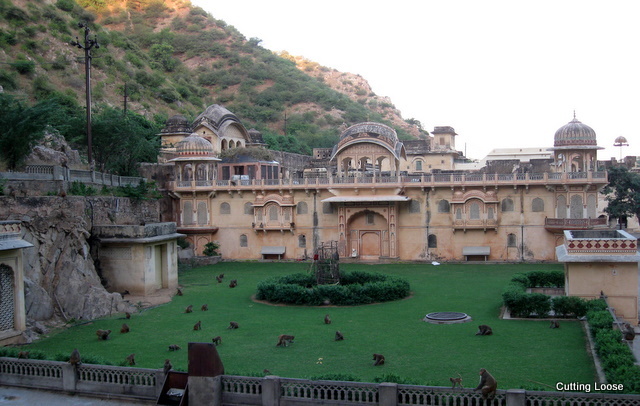 A must-visit for those looking for a quick getaway from (some ) unavoidable touristy annoyances while at Jaipur. 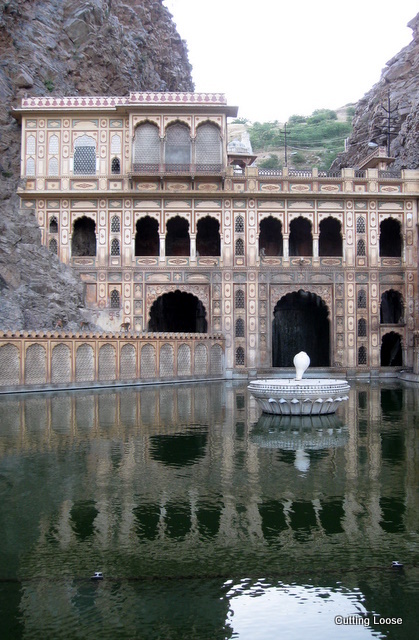 We were reluctant to leave Galtaji’s tranquil environs despite spending a number of leisurely hours there. Captured this image when we were exiting. 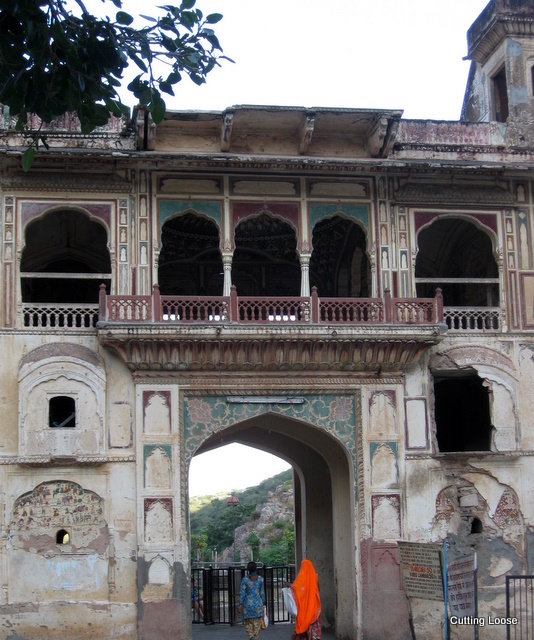 The brilliance of the lady’s vermillion veil offsetting the muted hues of the frescoes, while underscoring the bleakness of the ruined gateway. SIMPLY SUPERB! Puneet, someday you should think in terms of holding an exhibition. 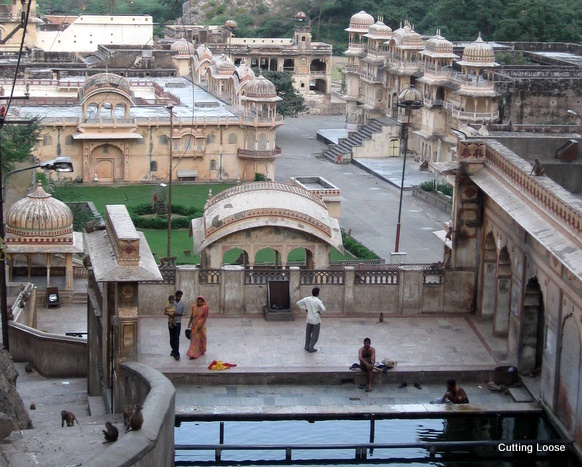 If i visit Jaipur, Galtaji is definitely on the must-do-list. Unsung wonders… Then again, is that such a bad thing?